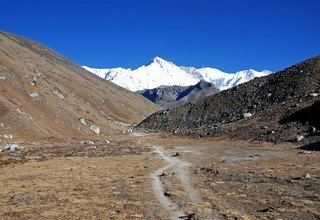 Renjo-La Pass Trekking is one of the underrated trekking routes in Nepal which offers the exploration of the remote but naturally rich areas of Khumbu region. 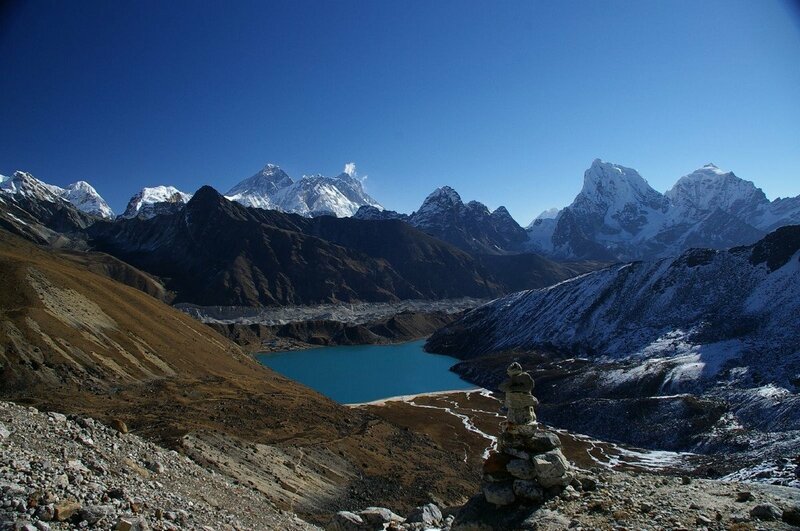 Renjo-La Pass (5360m) is one of the three high passes of Everest region crossing which the pristine Gokyo lakes can be reached. 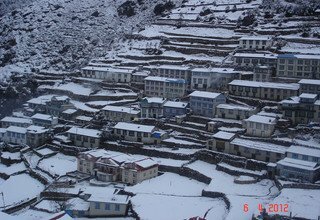 Renjo-La Pass Trek is a strenuous trek yet fulfilling trek which rewards the trekkers with Sherpa culture and Himalayan landscape. 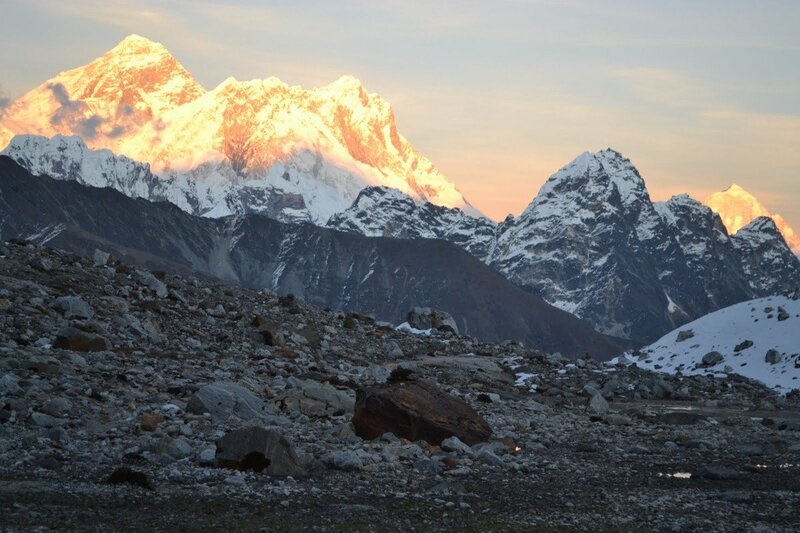 Renjo-La Pass Trek starts with your arrival at the Tribhuvan International Airport in Kathmandu followed by an astounding flight from Kathmandu to Lukla, featuring the mighty Himalayas. The trek features rocky trails along with lush Himalayan forests of juniper, rhododendron, fir, and pine. 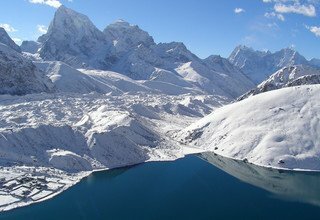 Renjo-La Pass Trek highlights the Sherpa villages of Namche, Thame, and Gokyo as it reaches the high pass of Renjo-La, which hosts an amazing view of the mountains, and the highest freshwater lake system called Gokyo Lakes. 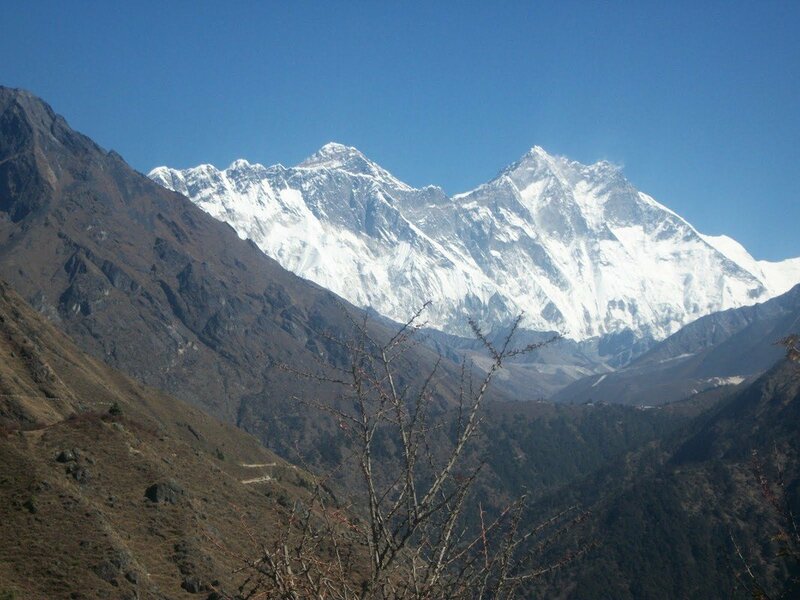 The trekkers will get to relish the alluring panorama of Everest (8848m), Cho Oyu (8201m), Lhotse (8516m), Ama Dablam, Makalu (8481m), and many other snow-capped mountains of Khumbu region throughout the trek. 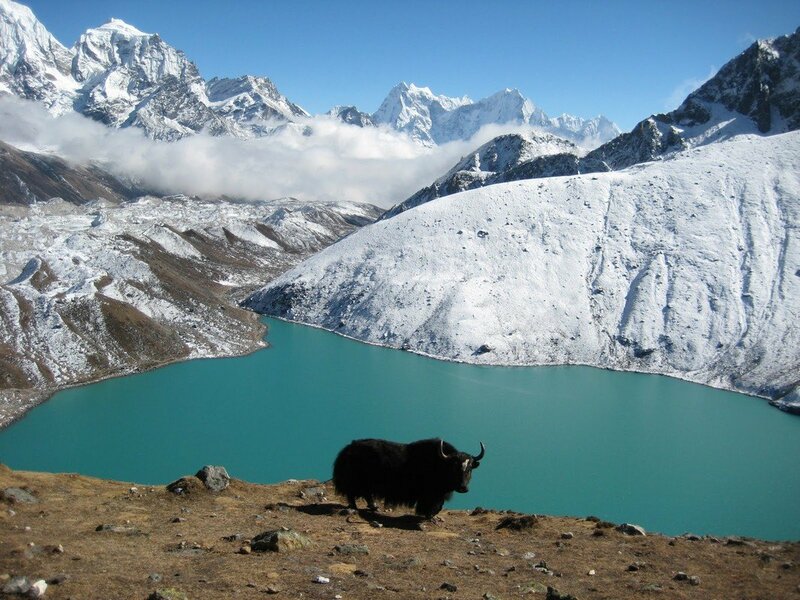 The trek also features Sagarmatha National Park which is home to diverse floras and faunas. Renjo-La Pass Trek also includes a hike up to the hotel operating at the highest altitude, Hotel Everest View. 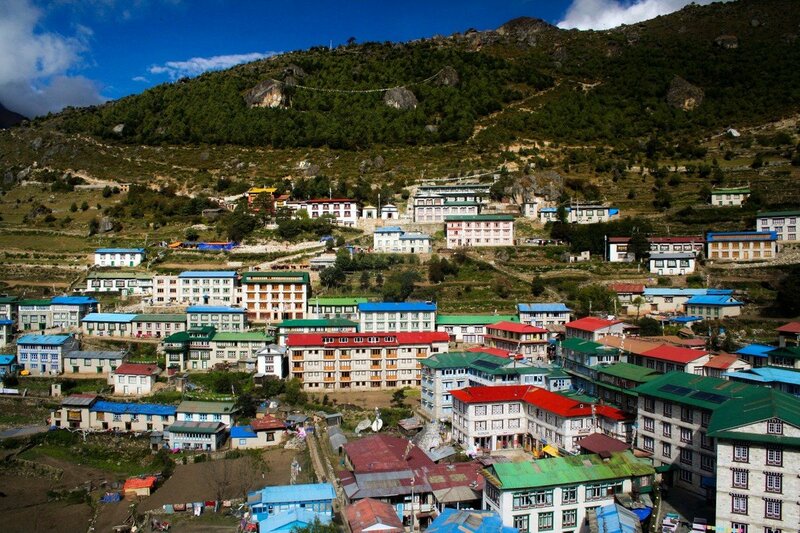 The trekkers will also get to learn about the Buddhist traditions from the Sherpa villages en route. The trek route comparatively has fewer crowds. Hence, it is the perfect trek for travelers who love to spend their time in solitary places. 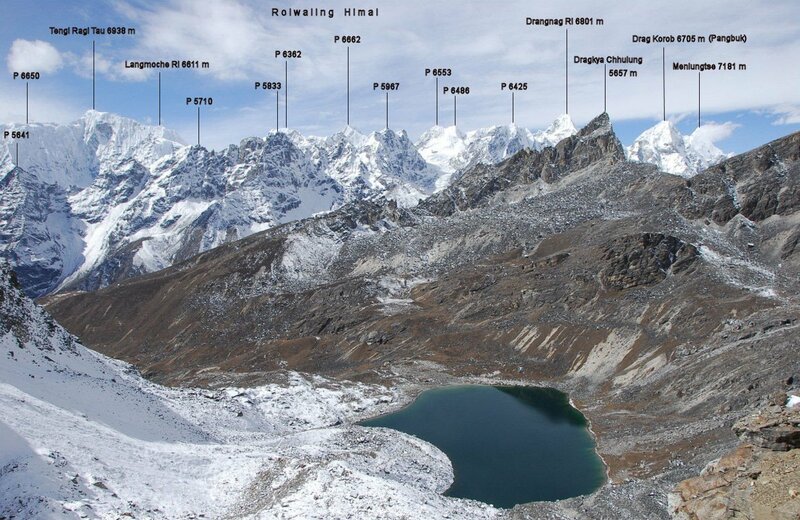 but the trekking routes here start higher and stay higher and high glacial Gokyo Lake. 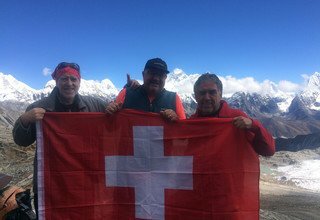 Swiss Family Treks and Expedition is one of the leading trekking organizers in the capital. We seek to fulfill all the possible expectations of our clients and provide them with unquestionable services. We assign an English speaking guide from the specific region for all our tours and trekking programs. We accommodate you in the best hotels/lodges in the place and make sure your stay is safe and comfortable. We acquire all permits and your flight tickets inside Nepal. We also provide different packages for trekking, sightseeing, and other adventurous activities in Nepal. Our company representative picks you up at Tribhuvan International Airport, Kathmandu, upon your arrival. You will then be transferred to a 3-star hotel in the capital. Overnight in Kathmandu. Relishing the beautiful panoramic view of the Himalayas throughout the flight, we land at the Lukla Airport (2840m). 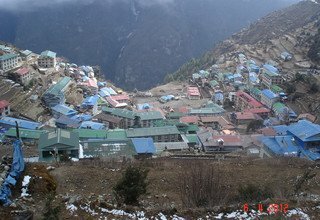 After we land in Lukla, we trek for 3 to 4 hours downhill to Phakding through Cheplung village. Phakding hosts a stunning view of the sacred mountain, Khumbila (5761m). Overnight in Phakding. 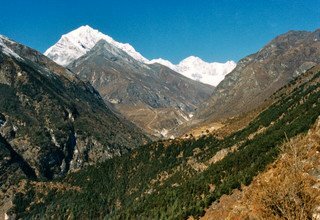 We trek along Bhote Koshi River and enter Sagarmatha National Park by passing Monjo village. 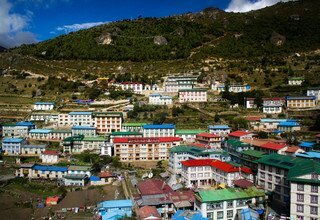 After entering the park, we trek through lush forests of rhododendron to reach the commercial hub of Khumbu region in Namche Bazaar. 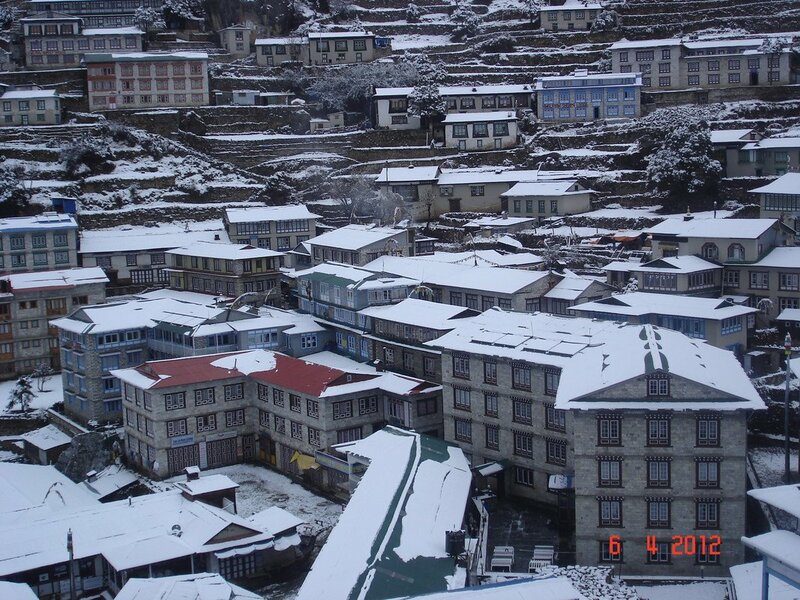 Namche Bazaar is a picturesque Sherpa town with well-facilitated hotels, restaurants, pubs, and markets. 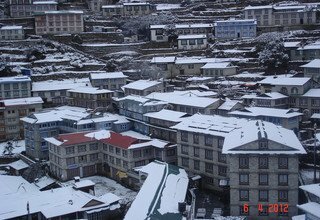 Overnight in Namche. 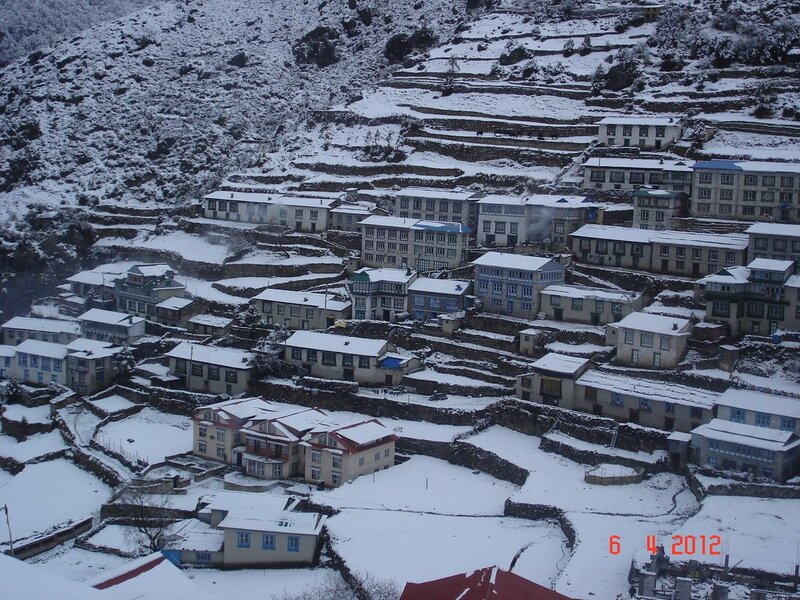 Today, we take a short hike on the outskirts of Namche Bazaar. 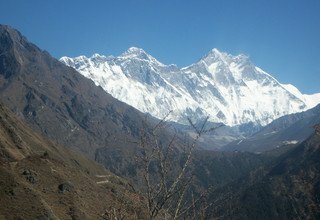 We also take a short hike to the hotel operating at the highest altitude, Hotel Everest View (3962m), for a stunning panorama of the mighty Everest (8848m) and other peaks of Khumbu. 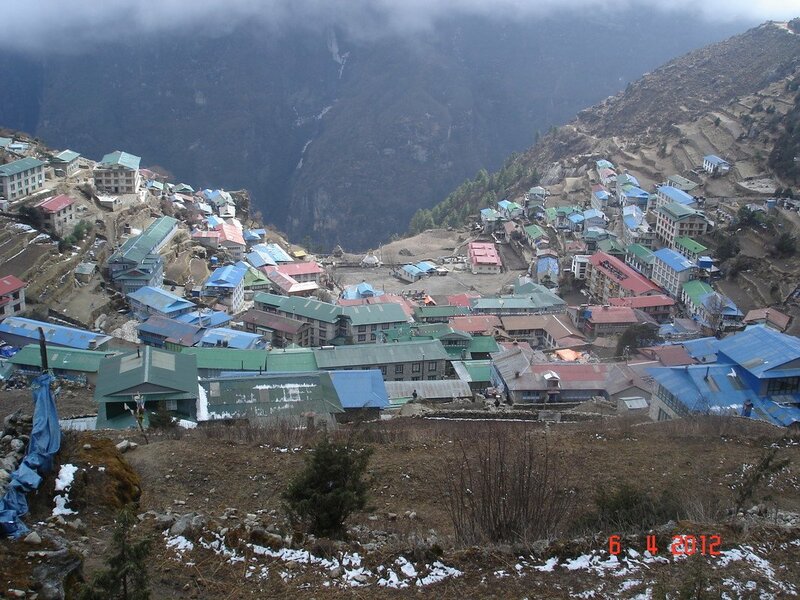 We then trek down to Khumjung village, the biggest Sherpa village in Khumbu. 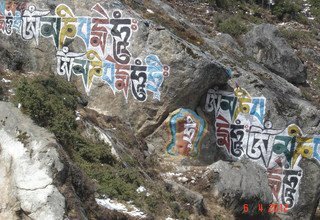 We visit Khumjung Monastery and have a look at the skull of Yeti there. Later, we trek to Khunde village and explore an old monastery. After our exploration, we hike back to Namche Bazaar. Overnight in Namche Bazaar. Stumbling across many Chortens, stupas, and monasteries, we trek along Bhote Koshi River on our way to Thame. Relishing the superb panorama of the Himalayas, we run into some villages and monasteries before reaching Thame. Walking on the riverbed of Bhote Koshi and crossing the river several times, we arrive in Thame. Overnight in Thame. We acclimatize ourselves to high altitude. We take a short hike to Thame Dechen Chokhorling Monastery, an ancient monastery which hosts splendid view of Mt. Everest (8848) and Mt. Cho Oyu (8201m). We then return back to Thame and explore the small Sherpa village of the "snow leopard" Apa Sherpa, who has scaled Mt Everest 21 times. Overnight in Thame. Climbing the steep moraine, we continue our trek. 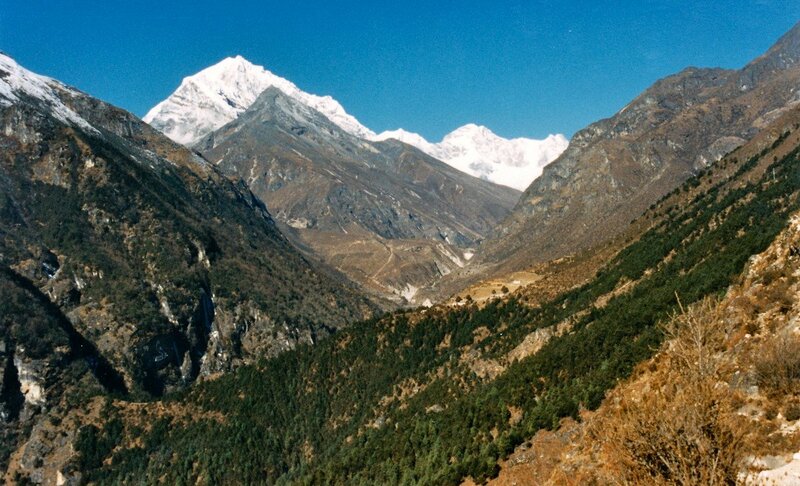 We trek along the ancient route used by the traders to transfer goods across Tibet via Nangpa-La. Following Bhote Koshi River upstream, we reach several monasteries as we walk past small villages of Yilajung, Taranga, and Dinjung before reaching Lumde. Enjoying the Mountain View in the background, we reach Lumde. Overnight in Lumde. The big day is here. 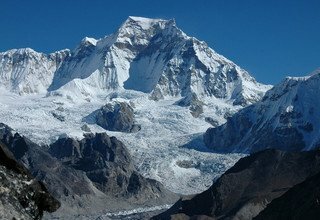 We trek along steep trails and climb few glacial moraines to reach Renjo-La which hosts absolutely mind-blowing view of Cho Oyu (8201m), Everest (8848m), Lhotse (8516m), Cholatse (6440m), Taboche (6367m), and other Himalayas along with the Gokyo Lakes and Ngozumpa Glacier, the longest glacier in the Himalayas. 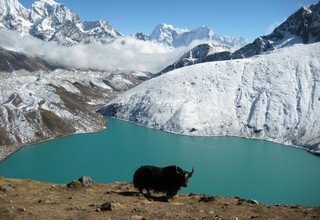 After relishing the stunning vista, we descend to the third Gokyo Lake behind which the small village of Gokyo is located. Overnight in Gokyo. 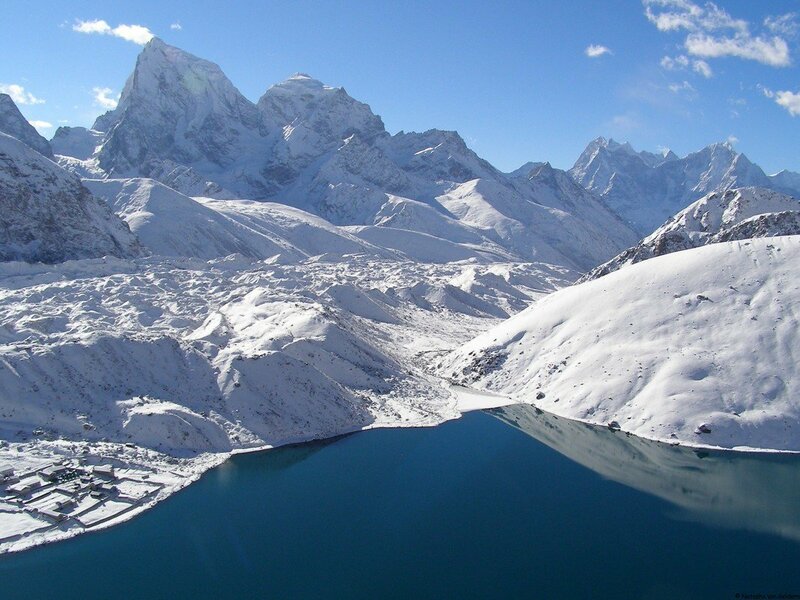 We take an early morning hike to Gokyo Ri where we observe the magnificent panorama of Mt. 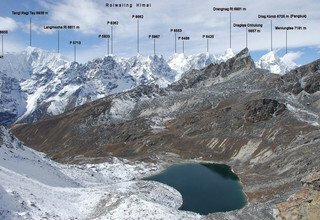 Everest (8848m), Nuptse (7861m), Makalu (8481m), Lhotse (8516m), Cho Oyu (8201m), Pumori (7161m), Ama Dablam (6856m), and the other Himalayas. We then descend through steep trails and trek along Dudh Koshi River on the moraines of Ngozumpa Glacier till we reach Machhermo. From Machhermo, we trek for a couple of hours to reach Dhole. Overnight in Dhole. Trekking along rocky trails, we pass dense forests of rhododendron till we reach Phortse Thanga. We then trek to Mongla and then descend till Kyangjuma. Following the rocky trails, we pass some monasteries and walk on stone steps through Mani walls on our way to Namche Bazaar. Overnight in Namche Bazaar. On the last day of our trek, we cross several suspension bridges over Bhote Koshi River to reach Lukla. 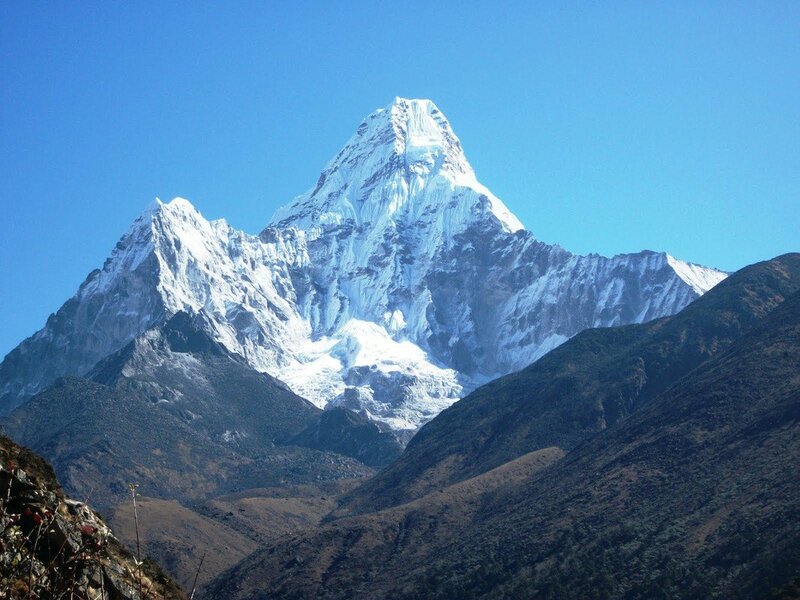 We exit Sagarmatha National Park in Jorsalle and pass the villages of Monjo and Bengkar to arrive in Phakding. 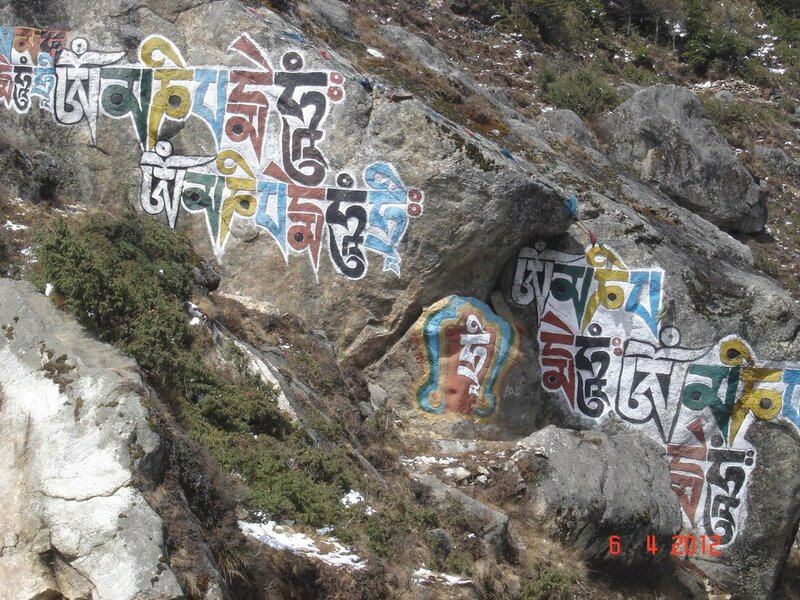 From Phakding, we pass several small villages, painted Mani walls, and prayer wheels to reach Lukla. Overnight in Lukla. Day 12: Fly from Lukla to Kathmandu and transfer to Hotel. We enjoy the panorama of the Himalayas for the last time on our flight back to the capital from Lukla. After we reach Kathmandu, you will have the day to yourself. You can shop for souvenirs or have a good time tasting the local delicacies. Overnight at a 3-star hotel in Kathmandu. We’ll drop you at Tribhuvan International Airport 3 hours prior to your scheduled flight. * Domestic flight ticket cost from KTM-LUKLA-KTM and airport tax. 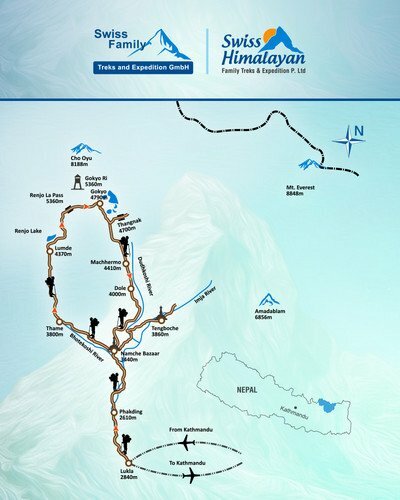 * Sagarmatha National Park permits. 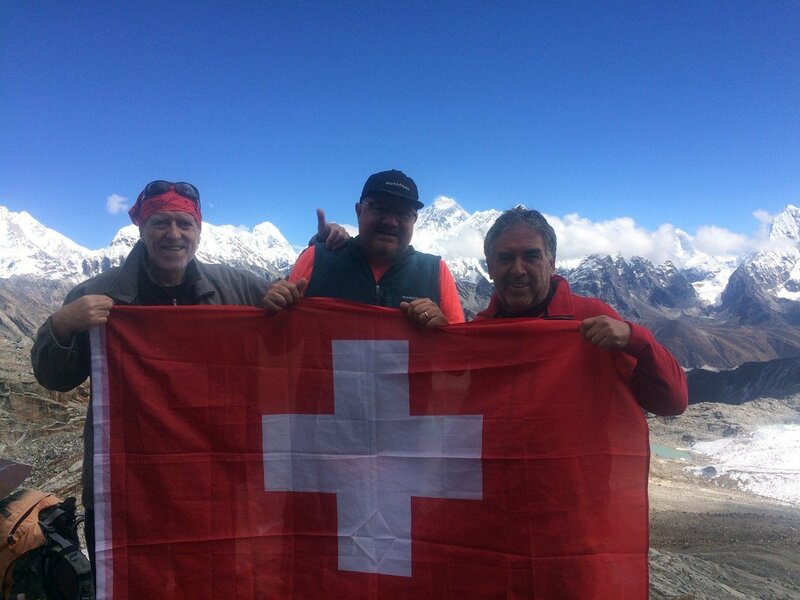 We are back from Nepal. How was it? Incredible! Of course it was difficult, and we heard a lot of complaining, especially because of the cold. Everyone had their low points along the way, but we each had our highs too, and more than once all our spirits and bodies were high high on top of the world! I've considered various ways of telling the story of our 11 day trek in the Everest region on the blog. I wrote a diary during the trek and have over 700 pictures (taken by myself, as well as Hamutal, Uri and Michal). I considered posting by theme, or by personal perspective, but alas, decided to go chronologically. But before starting with day one, I decided to publish this highlights post, to give an overview flavor of where we've been, what we've seen and done and what we thought about it. 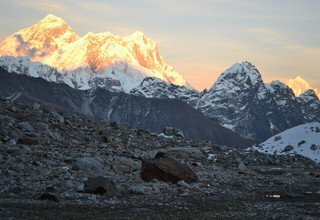 What surprised you most about Nepal? Ofek: Jupkyu [a cross between cow and yak] and bridges like in fairy tales. Uri: Me too, and I didn't think there would be a river. Eyal: That there was donkeys and that the water falls so slow. Ofek: That animals can walk on such steep and rocky paths. Michal: So much water in Nepal! Uri: That the chocolate milk was made with water. What is fun about playing by the river? Ofek: Jumping from rock to rock. Ofek: Climbing up big rocks that Michal can't climb. Uri: Throwing rocks high, then platch! in the water. Hamutal: peace and quiet and sun. On the evening of day 2, what do you remember from today? Ofek: I really enjoyed the walking and riding on the horse. I really didn't enjoy taking a shower. Michal: The hardest part was the end of the steep uphill. Ofek: I loved the bridges, it was as if we were in a fairytale. Michal: I thought it was funny when we crossed the bridges and everyone had to hold their hat so it doesn't fly away. Uri: The hardest part was the steep uphill when I was already very tired and I walked and walked and walked to get to the horse. It was cool when I was on the horse on the long long bridge. Ofek: The views were really nice. Eyal: I don't remember anything. Hamutal: It was harder than I imagined. All day I gave children a hand and helped then up. Seeing snow-capped mountains is what I dreamed of. What will you miss from Nepal once you are back home? Ofek: Pemba Sherpa [the 16 year old son of our guide who carried Eyal]. Michal: All of us being together all day long. Uri: Hira [the horse[ and Sunam Sherpa [our guide]. What is it that you miss most from home? Michal: My bedroom and all my books and Winnie the pooh. Ofek: Noam and Wii and my dubi. Uri: Wii and the piano keyboard. On the last evening, how do you summarize our trek? Ofek: It was hard but fun. Michal: The difficult minutes were very difficult and the happy moments were very happy. Overall I think it was worth the effort, although it could have been a few days shorter. Uri: I would do it again, but shorter. Hamutal: It was much harder and more challenging than I imagined, mostly because of the cold. We reached our limits. I wouldn't recommend it to families with kids, but on the other hand I don't regret doing it ourselves. Ofek: I liked the guides and the views. Michal: Pemba, Sunam and Nima Taman were very nice and I liked Hira too. Ofek: I would like to do it again, but when I'm older, like a teenager.